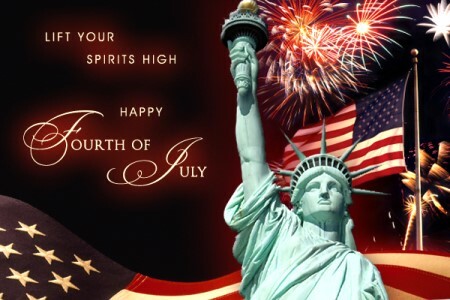 Have a wonderful and safe holiday. Enjoy spending time with your family and remember those who fought and continue to fight to protect our freedom. Come join your fellow real estate investors in a fun networking atmosphere at the Beach REIA! We meet on the 3rd Thursday of each month at 6:30PM at Gators Cafe & Saloon located at 12754 Kingfish Dr, Treasure Island, FL Gators is an awesome waterfront restaurant right on John’s Pass and the beach, which makes for a great sunset backdrop during the meeting while networking and doing business! Download the June 2015 Edition of The Profit Newsletter Now! The June 2015 edition of The Profit Newsletter is now available for download as a High Quality PDF (print quality) or Low Res PDF for mobile devices. The Profit Newsletter is the official newsletter of the Tampa Real Estate Investors Alliance and is a digital, interactive newsletter for serious real estate investors delivered as an Adobe PDF file to read on your computer, tablet, or smart phone with a PDF reader. Many of the articles and ads in The Profit contain hyperlinks you can click to get more information online. The high res version of The Profit is “print ready”while the low res version june load faster on your mobile device. Also, be sure to Subscribe to The Profit so you don’t miss a single monthly issue. The other day, I was web-surfing while I waited for a program to download, and I came across a site that really caught my attention. In the upper right-hand corner, a big Jolly Roger pirate flag was waving. In the upper left-hand corner was a little animated dancing hamster. A tiny cartoon kitten ran across the bottom of the screen, and in the middle of the page fireworks burst out in an infinite loop. Then suddenly, my iPad started blasting “Whole Lotta Love” by Led Zeppelin. It was a full-blown spectacle! I tried to scroll down the screen to find a “music off” button. But the screen went on and on… and on… and on. One very long screen with a black background and neon-colored type. No links, just text. And every few lines, new and even cheesier animation. All men are created equal. But not all states, as far as Real Estate IRA investors are concerned. This is especially true for those who hold rental property in their Real Estate IRAs. Naturally, every state tries to strike a balance between the rights of renters to privacy and stability and the property rights of landowners. And some states strike that balance in a way that is much friendlier to landlords than others. The key issues are each states’ landlord-tenant laws, bankruptcy protection measures and overall friendliness to debtors vs. creditors, and property tax levels. Arkansas is the only state in the country that does not recognize an implied warranty of habitability. This means that landlords have no obligation to maintain homes or make repairs. But the law forces tenants to pay rent, anyway. Most other states have at least some provision for rent withholding or partial payment in the event that the landlord does not ensure at least a functionally livable property. The Window To Wipe Out Your Mortgage Could Be Closing! In my last article I told you how you might be able to wipe out virtually any mortgage through a TILA rescission. The idea of rescinding a loan using the Truth in Lending Act had been around for a while, but its viability in court was completely dependent upon the whims and prejudices of the individual judges hearing the cases. Well, the Supreme Court of the United States cleared all of that up with a unanimous decision that has cleared the way for TILA rescissions. As I explained last month, the opportunity is HUGE, but could our window be closing? Warm weather is finally upon us! Time to get ready for those Summer vacations – trips to the beach, cookouts, swimming, boating, golf, tennis, and everything else that we love to do outside when the weather is warm. But if you’re like me, and live in a place where you get all four seasons (yay), you can appreciate how the change in weather can also trigger a change in perspective. banks and hedge funds can actually make your business stronger, especially if you own property. Banks: Right now, banks are holding the prices up artificially, meaning that values are rising. Banks are pushing the limits of pricing. They are getting data on the best-selling styles, features, and geographic areas. They know which houses sell and rent the fastest. Remember: banks are in the real-estate business; a business makes money. Do not expect them to treat you like a friend. There are several ways to do this. One is to simply insert something into the envelope if you are mailing a letter. It might be a piece of candy or gum with information about your business with a tag line of “In a sticky situation? Call us first”. Or, if you are using a piece of candy it might say, “Call us first, we can make you a sweet deal”. It just needs to be something that makes your mail piece look different, and makes it stand out from everyone else’s. Recently a friend of mine sent me a chart created by the United States census bureau showing the numbers of home ownership from 1965 until 2015. Amazingly the number of home ownership in 2015 was almost exactly the same as it was in 1965. I found this very interesting because throughout all of those years between 1965 and 2015 homeownership escalated slowly until 2006 when the real estate market crash took place because of all the defaulting loans. As house prices dramatically declined people felt their homes were worth less than what they owed so many people quit making their loan payments causing many of the defaulted loans people could no longer afford. I thought about what this chart represented for today’s real estate investors and I believe this chart shows us there is great opportunity for real estate investors of all kinds everywhere. You: Good afternoon Bob, how are you? You: Doing well. How can I help you? Bob: Well I got this deal here at 123 Main St that you sent me however I have gotten it from five other people and am trying to figure out who has it since they all have different prices. I am very interested but need to know who really has the contract so I am not wasting my time. Another gentleman called me and said he was under contract but it seemed odd since your price was lower yet he was adamant. You seemed like a nice fellow and your price is the lowest so I am starting with you. Is this your deal? Real estate is a vehicle that cannot only provide you big checks within a few days but also a monthly residual income and a big backend payday. It can retire you so you’ll never have to worry about what the government will pay you when you become a senior and don’t want to work anymore, and the best part is you can make a lot of the money tax-free using your Roth IRA. How Do We Fund Our Deals? Since we don’t use banks, how do we fund our deals? Do banks have money to lend? Think carefully – this could be a trick question! Don’t banks “borrow” the money they lend from their depositors? And why do depositors keep their money in the bank? Because it’s the safest place to keep it, right? But is it really? What interest rate is your bank paying on savings these days – 0.3%? And what is the current rate of inflation…something like 4%? Tampa REIA is excited to announce that Don DeRosa will be our special guest speaker this month at our main monthly meeting on Thursday, June 11th at 6PM at the Doubletree Suites Tampa Bay located at 3050 North Rocky Point Dr West in Tampa, FL. Don will be teaching us how to use different technologies in our business to help us structure win-win deals. 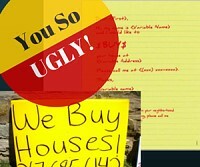 Do you struggle with trying to figure out how to make a deal work other than just buying a property with cash? Maybe you realize that bank financing is often times more detrimental than helpful and don’t have the perfect credit needed to get a loan. Maybe you have the credit, but just don’t want to have to use it. Are you still working a J.O.B and don’t have a ton of time to devote to getting your real estate business up and running. Don is here to help! Imagine having the freedom to create a lucrative real state investing with only working 15 hours a week. Yes, you read that correctly, only 15 hours. Don will be teaching you how you can do just that all from the palm of your hand! How to become a transaction engineer! How to become a problem solver! How to take every deal and figure out something to do with it! How to find the money to fund your deals! Why 4 out of 10 people have the potential to be a private lender and they may not even know it yet! Examples of marketing using technology! It is an amazing time to be a real estate investor! Don’t look back 5 years from now and wish you had acted. Learn how to buy right… Learn how to Make More and Work Less, Right Now! Don’t miss this special presentation Thursday night. Also, plan to come spend an entire day with Don on Saturday, June 13th where he will be going more in depth with these strategies as well as teaching more about creative deal structuring and being completely paperless and mobile! 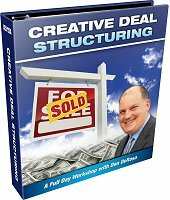 Attendees Get Don’s Creative Deal Structuring Manual! Would you like to learn how to structure deals so you can buy houses with little or none of your own cash and none of your own credit? 15 hours a week. That’s all you need. Imagine… taking any seller lead and being able to create a winning deal out of it… Making thousands of dollars where you thought there were none. No more wasted marketing dollars. No more wasted phone calls. No more wasted time. 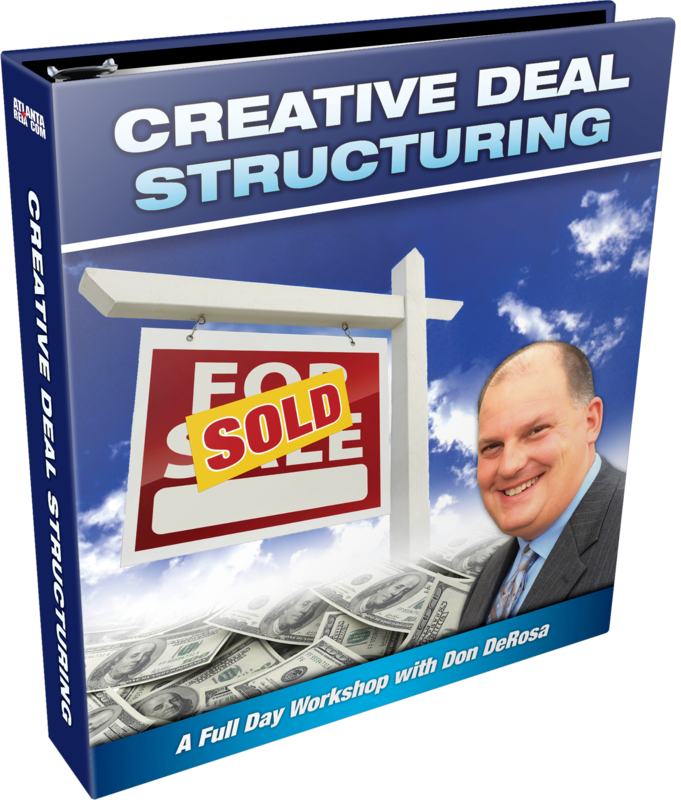 Join Don DeRosa at the Creative Deal Structuring Workshop on Saturday, June 13th from 9AM to 5PM at Doubletree Suites Tampa Bay located at 3050 North Rocky Point Dr West in Tampa, FL. where he will show you the state-of-the-art tools and techniques you’ll use to evaluate deals and figure out how to make them work – so you can work less and spend more time where you want, when you want and with whom you want. 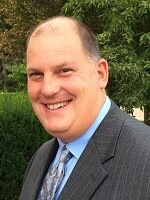 Don will teach you how to fully leverage your investing business on mobile devices! Do you have an iPad, tablet, iPhone or smart phone that you’re using for Facebook, movies, games, maybe email, but not much else? Don uses the iPad exclusively to run his Real Estate Investment business…and you can too! Take your business with you wherever you go; have all your comps, photos, and forms right in the palm of your hand!!! Leverage all of your mobile devices to make you the most effective, competitive, and profitable real estate investor you can be! When to use “Subject To”, Owner Finance, Wrap Around Mortgages, Options, Lease Options Techniques, etc. Track expenses and get rid of all those paper receipts. Send the sales contract to the lawyer for title search while you’re still at the seller’s home. Have the seller sign electronically so you can both have a copy in real time! Don will walk through actual deals step-by-step and he’ll show you how to easily evaluate the lead, determine your exit strategy, structure the deal, negotiate with the seller, and get the paperwork done in a snap. Don’t let this great learning opportunity pass you by. Register now! Peter will present two days of lecture and discussion, with real-world case studies, regarding HOW & WHY to acquire benefits using real estate.Questions and Debate always encouraged! Get involved – this class is for you. 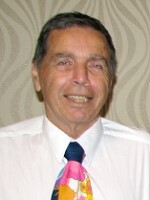 Location – Holiday Inn – Tampa 700 N. Westshore Blvd, Tampa, FL Please visit: PeterFortunato.com for info on this Seminar. Class Time: 9am-5pm both days.